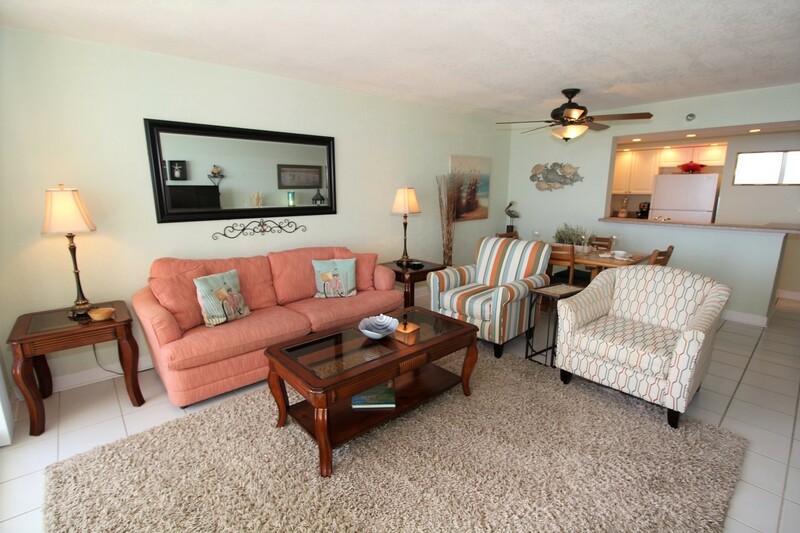 Indulge in the splendor of coastal living when you stay in this charming 1 bedroom, 1.5 bath unit at Perdido Sun! 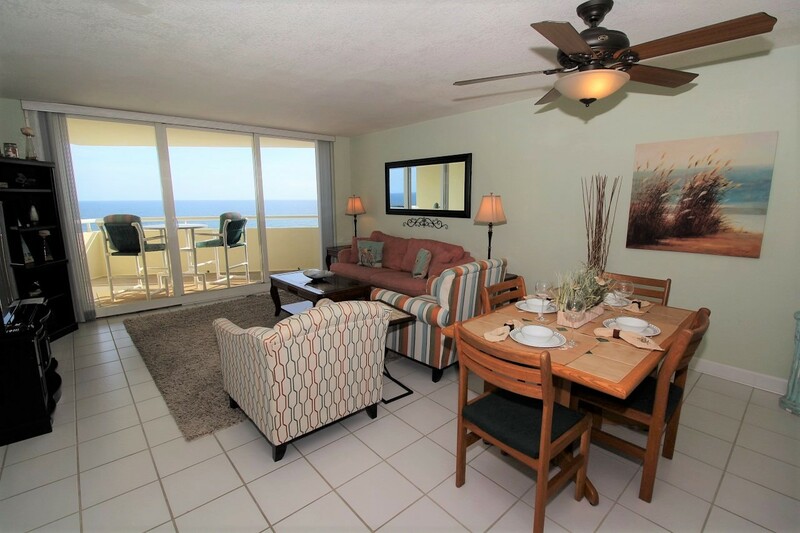 Situated on an immaculate stretch of the Gulf Coast, this complex pairs relaxation and recreation, offering the best in beachfront living and resort amenities! Sugar-white sands give way to emerald waters, creating the perfect atmosphere for an unforgettable vacation. 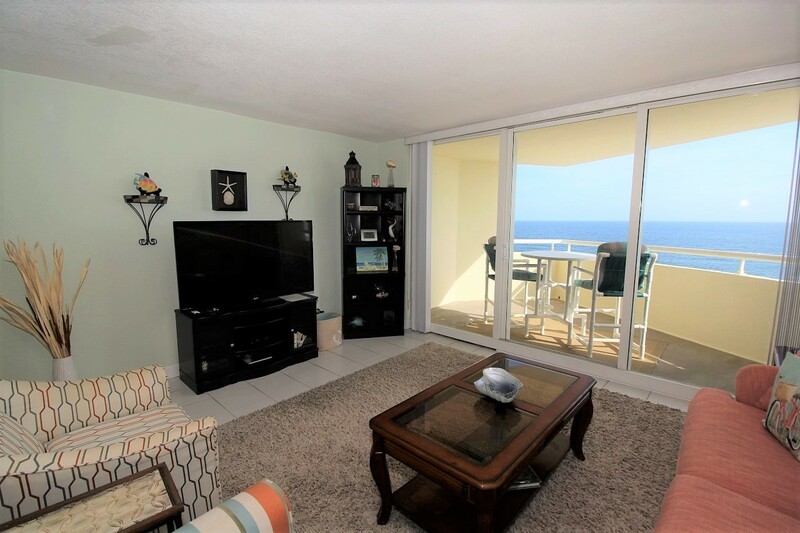 This updated 1 bedroom unit offers comfortable yet functional furnishings, an open concept floor plan, full kitchen, and a spacious Gulf front balcony with incredible views! 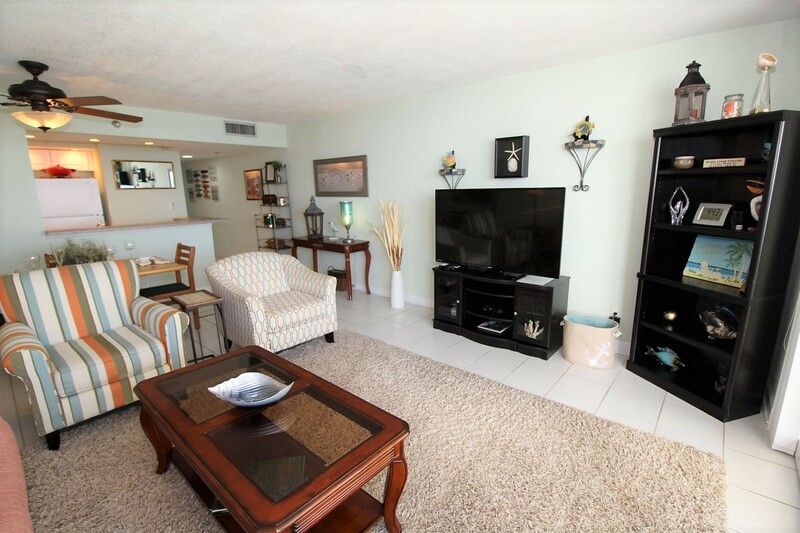 The living area boasts a plush sofa and recliner, enormous flat screen TV, and an expansive glass door leading to the covered terrace! 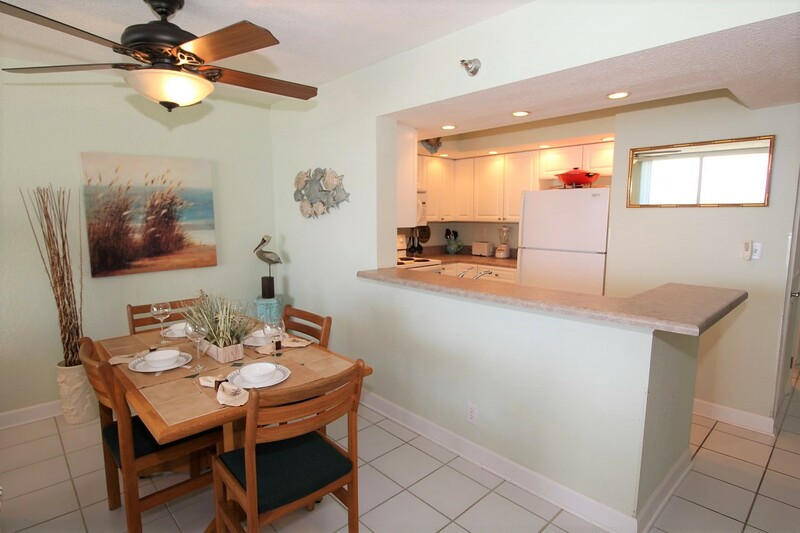 Enjoy your morning coffee or even an al fresco meal while taking in the serenity of coastal living! 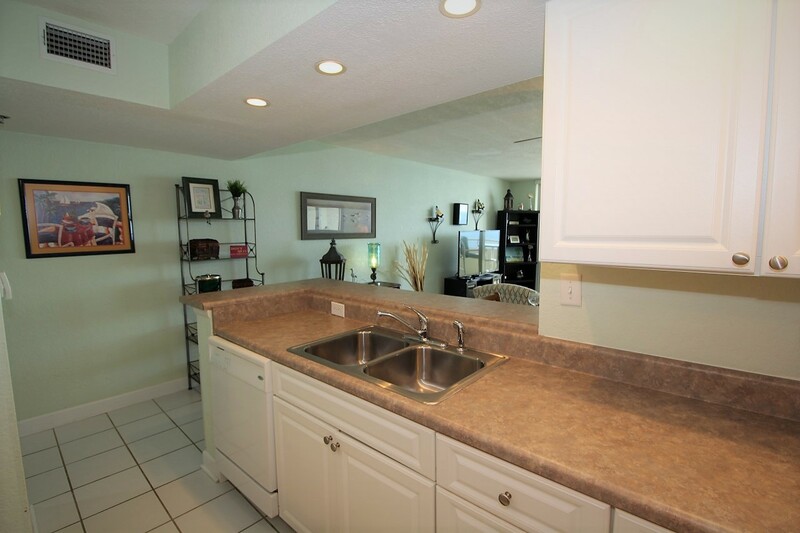 The kitchen is fully stocked with everythin you’ll need to prepare your favorite meals, including a stainless steel double sink, 4 burner stove, microwave, and many other small appliances and utensils needed to get cooking! The dining area offers a table for four. 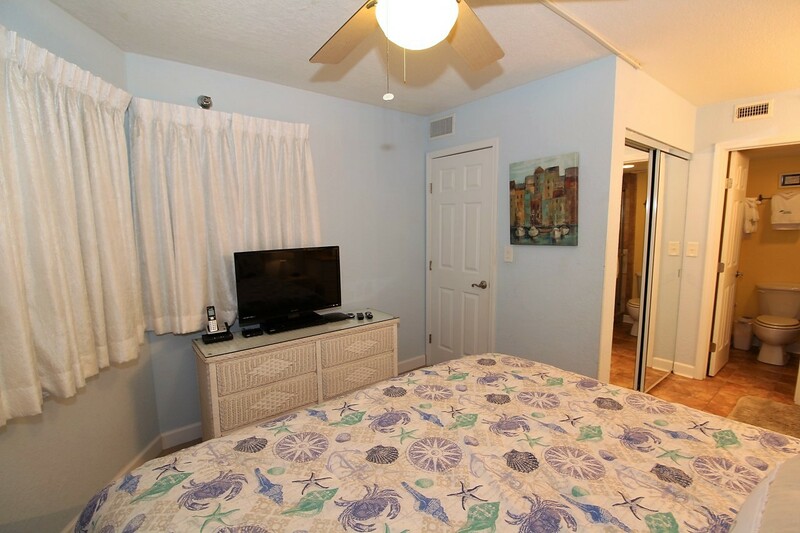 The master bedroom was furnished with your comfort in mind, including a comfortable king mattress set, custom paint in a vibrant and refreshing citrus orange hue, and a large TV! The attached bath boasts a vanity with plenty of counter space, a beautifully tiled shower and a private washroom! The living room sofa can be converted into a sleeper, affording comfortable arrangements for up to 4! The weather was nice and the condo was great! One of the nicest 1 br I've stayed in at Perdido Sun. It was newly decorated in very eye pleasing colors, well furnished kitchen, & my favorite thing, the tub has been replaced with a tiled shower with sliding glass doors!! 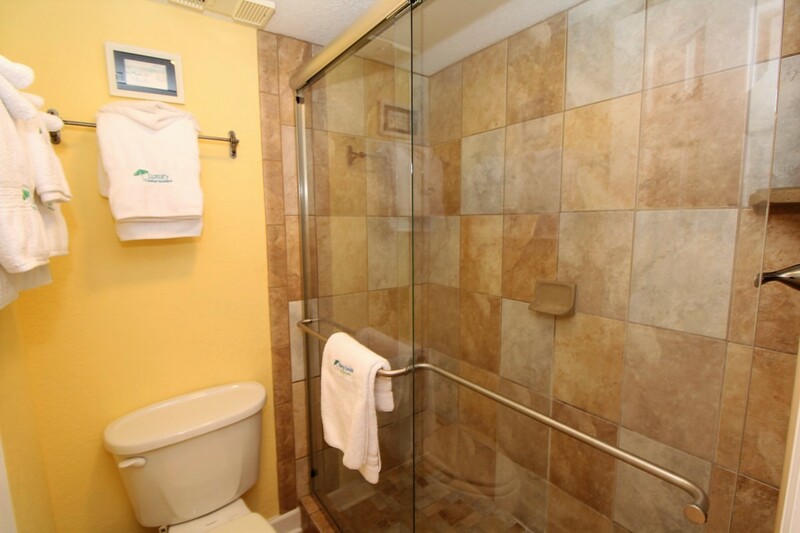 The bathroom could use a brighter light, but so much better than the tub with shower curtain! Lots of nice towels in abundance. Michelle at Luxury Coastal Rentals was very nice to work with. 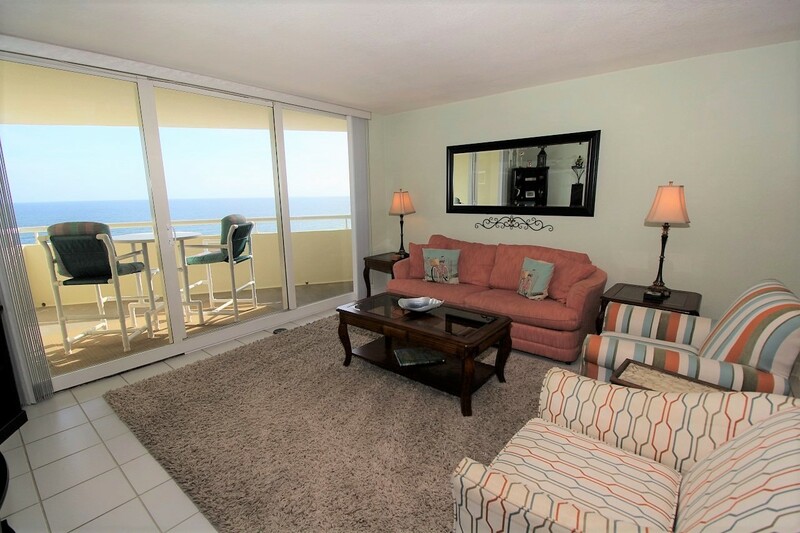 The condo was perfect for the two of us. It was very well equipped. We also loved the property! This was a short getaway after my husbands surgery and we really enjoyed the condo and the Perdido Key area!